So… as I was saying about my overly product sensitive skin…. I am using 2 Kinerase Pro + Therapy moisturizers after cleansing with the Kinerase gentle daily cleanser: Lotion with kinetin & zeatin and Ultra rich night repair. They are miracles for me. I started using these after my laser surgery and previous to this I just could not find a moisturizer that did not cause dry, visibly flaking, inflamed and/or broken out skin reactions. Now my face is smooth, hydrated and pain free. I use both products at night and every other day in the morning as well. On the off days I use both products at night and only the ultra rich night repair in the morning. 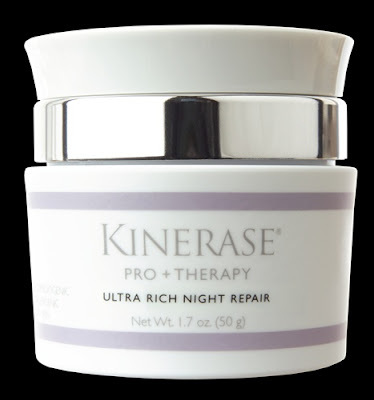 Kinerase also makes ultra rich day repair. 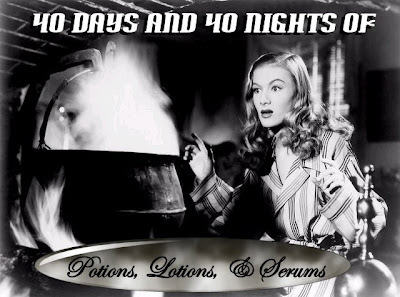 My skin is so dry that I just use the night repair and it is not too moisturizing for my condition. But I would think that the day repair would be a better choice for most to use for their daytime regime. Kinerase pro + therapy Lotion with kinetin & zeatin is non-comedogenic, hypoallergenic and for all skin types. This lotion contains kinetin & zeatin to help improve fine lines and wrinkles. It improves skin texture and lessens the look of blotchy uneven skin tone. It gently moisturizes dry, sensitive and photo damaged skin. It can also be used on post-procedural skin. I also use what is left on my fingers from applying it to my face as a leave in conditioner for my hair, since I have yet to find any other hair product for this purpose that does not “mess up my face”. I have long tangle-prone hair and it needs some type of detangling product in order to get a comb through it. My stylist suggested that I try this since everything else was breaking me out. So far, so good. This is an expensive product, but I use very little….about the size of a baby aspirin, so it lasts quite a long time, making the price a little less painful. I then follow-up with approximately the same amount of Kinerase Pro + therapy Ultra rich night repair. This is also for dry, sensitive and post-procedural skin. It also contains the kinetin and zeatin along with plant based extracts for treating the visible signs of skin aging minimizing wrinkles, fine lines, blotchiness, uneven skin tone and sun damage. Kinerase says that this is scientifically proven to improve moisture retention by 26%. And…I swear by it. These Pro+ therapy products are available through physicians. Kinerase makes other day/night moisturizing products (I believe without the zeatin) available through regular stores such as Sephora also. I started using these products after my laser procedures and have continued with them many months following. If you have sensitive, dry or product sensitive skin…I recommend giving these products a try. I can say they have allowed me to breathe a huge sigh of relief! I need to investigate this line!